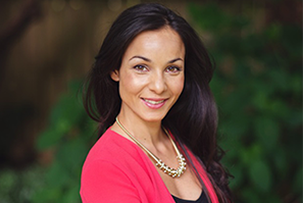 Dr. Waller graduated from the Canadian College of Naturopathic Medicine in 2004. Prior to this she earned her Honours Bachelor of Kinesiology from McMaster University in Ontario and then went on to become a Massage Therapist through the Foothills College of Massage Therapy in Alberta. Dr. Waller takes an integrative approach to health care, understanding that individuals are complex, and there are many factors that disrupt health. She will examine areas such as stress, sleep, diet, activity, hormone balance and emotional health when working with patients. Dr. Waller may request standard and / or specialized lab tests in order to gain insight into the patient’s condition and to help tailor a personalized treatment plan. Being a Mom, Mtn. Biking, Rock Climbing, skiing and a general enthusiasm for activity fuel her passion for treating injuries, pain and arthritis with Prolotherapy and PRP. Restoring function is the quickest way to get people back on track! Dr. Waller is a registrant of the College of Naturopathic Physicians of British Columbia and a member of the British Columbia Naturopathic Association, Canadian Association of Naturopathic Doctors, and the Naturopathic Academy of Therapeutic Injections. 2015 Advanced Naturopathic Integrative Oncology, Dr. Neil McKinney, Vancouver.